You ready? Here’s the big secret! That’s right. Probably not what you were hoping to hear. I wish I had a secret potion, lotion, or pill that could do it for you but here’s the truth, even if there was you wouldn’t want it. There is a reason for everything in life. There’s a reason we don’t maintain our ideal weight and there’s a reason diets don’t work. It’s because it’s missing the most critical component. It’s not a lifestyle. That’s why diets don’t work. In the mind of someone who’s on a diet, it’s temporary. You should be eating to live. When I left college I weighed 235 pounds. To put this is in perspective I weight 190 pounds now and I actually look bigger and feel stronger than I ever did in college. I tried cleansing, I tried paleo, I tried all sorts of tricks but nothing stuck. Now I have no problem keeping weight because my LIFESTYLE has changed. I get asked a lot how I lost all the weight. There’s no secret. I failed for awhile but eventually I learned to truth. Now I eat to live. I eat foods that give me energy and fuel my body, not tax it. I work out regularly. Not to look good (although that would be a perk) but to feel good. Working out is just as much a mental treat for me as a physical gift. If you want to truly lose weight and feel great. You must change your lifestyle. 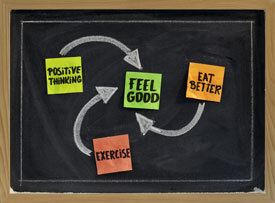 It’s time to start thinking differently about why you eat and what your goals for your health are!